When Mrs. Lillian Lugosi asked the jewelry clerk for the bat pin, a very odd look appeared on the jewelry clerk’s face. 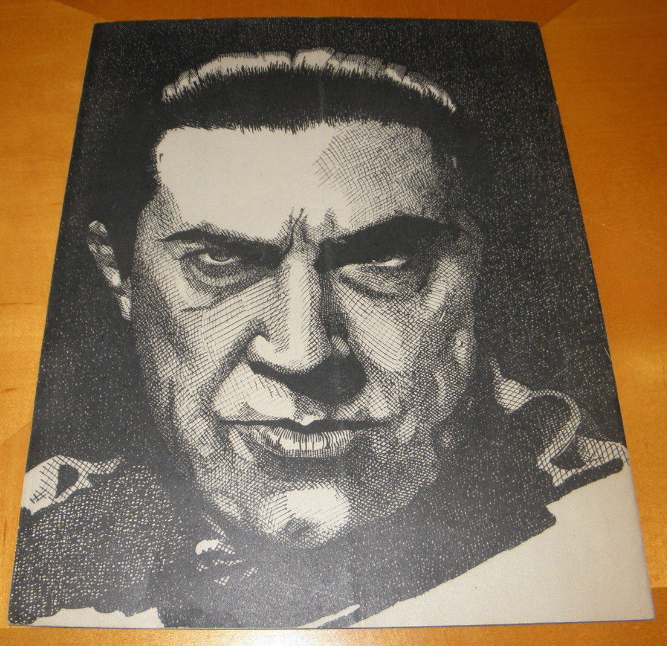 The jewelry clerk of course didn’t know that Mrs. Lugosi is the best pipe stuffer west of the Mississippi, and also the wife of Bela Lugosi, famous as “Dracula,” whose portrayal of horror roles on the stage and screen has won him international fame. 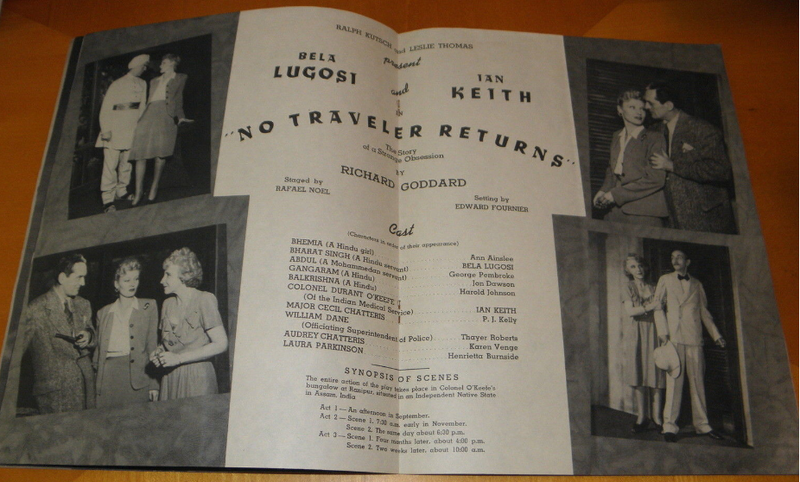 Bela Lugosi, a calm, blue-eyes gentleman, described by his wife as “sweet,” opens tonight at the Metropolitan Theatre in the play, No Traveler Returns, a horror production of generous proportions. It took me months to find this bat pin,” explained Mrs. Lugosi, who sat beside her husband this forenoon in the Olympic Hotel without trembling. The golden bat on her left shoulder seemed about to flit away on some ghastly mission. She stroked it gently. 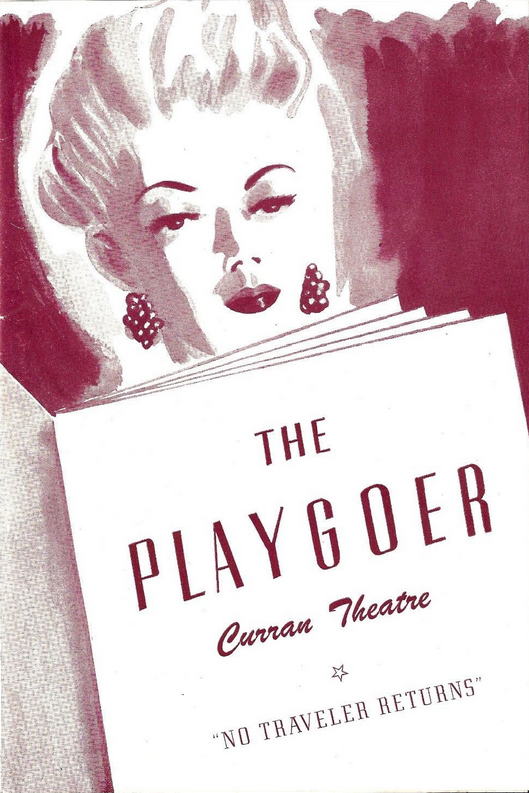 Mrs. Lugosi conceded it is her custom to stuff her husband’s pipes and see that they are drawing well before he puts them to his lips. 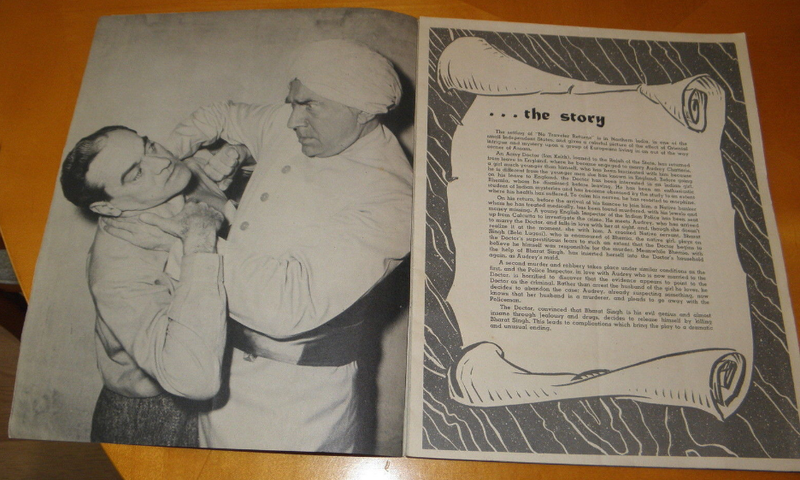 “She’s a better pipe stuffer than I am,” said Bela Lugosi said. 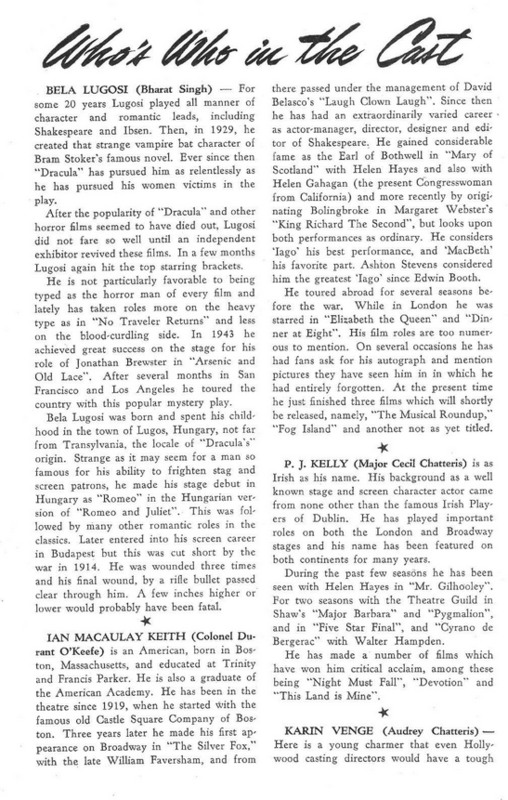 Lugosi denied that portraying the horror roles which have brought him notoriety has in any way altered him fundamentally. Mrs. Lugosi agreed. “Oh, no!” She cried. “He’s sweet! Playing these roles doesn’t change him in the least. We’ve been married 12 years, and he’d already played Dracula on Broadway in 1927 when I met him. Mrs. Lugosi said her husband picks out all her clothes. Shoes, though, she added, are her private affair. Lugosi, who was born in Lugos, Hungary, has had 30 years of stage experience. “I first went on the stage in Budapest,” he said. “We are trained differently in Europe. There we learn to play all roles. Here in America an actor is trained to develop his own personality. Then the personality is featured. 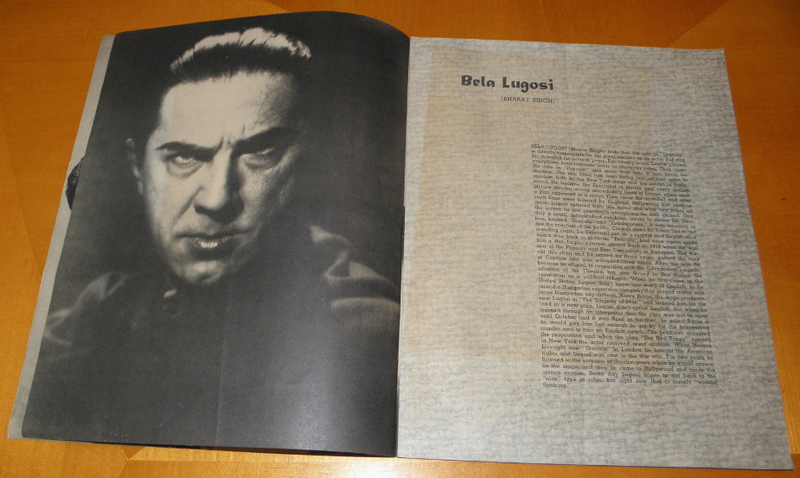 Lugosi said he always had been an honest, straightforward citizen until called upon to play Dracula. 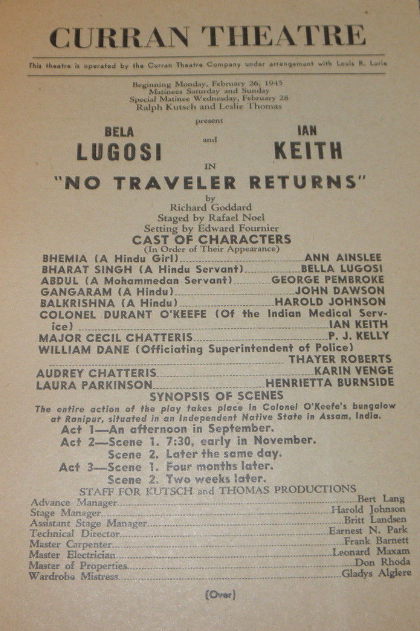 In his current vehicle Lugosi plays a Hindu servant who is much brighter than he appears to be through the first two acts. Bela Lugosi sat idly flexing his double-jointed fingers yesterday while his intimates told us that he is really a gentle-type man, very harmless and very sweet. We gave him every opportunity. We asked him if he wanted to put money in blind-men’s cups and to help old ladies across the street. 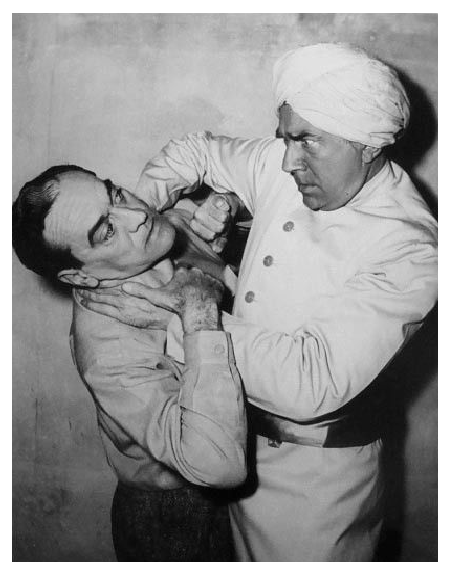 “Never,” said Lugosi. “But if the ladies are young I sometimes stand very close to them in elevators,” and he smiled in a pleasant Dracula sort of way. So we tried again. We asked him if he doesn’t tire of scaring people. 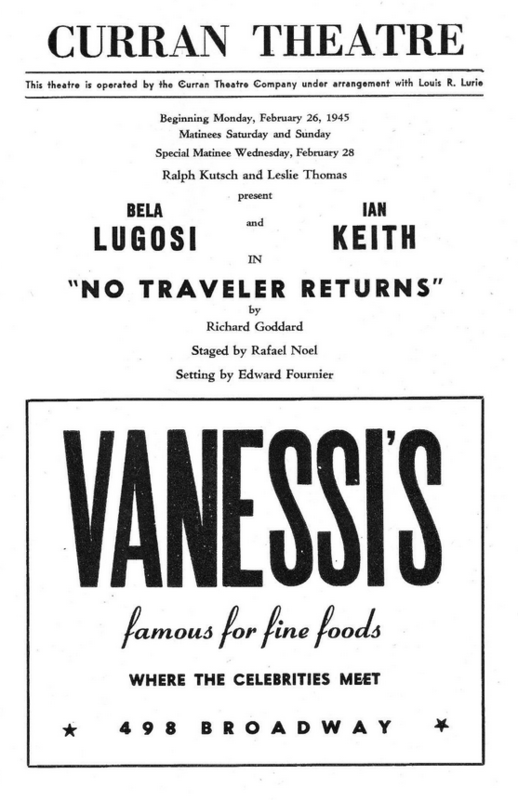 Seeing that this was a painful subject, Ian Keith, who plays with Lugosi at the Metropolitan in No Traveler Returns, rushed garrulously into the breach and spoke of many things—of waiting 20 minutes for a cup of coffee: of spending the morning taking long-distance phone calls for a Mr. Zion because the Olympic Hotel had for some reason decided that he was Mr. Zion; of the way these horrible motion pictures have ruined the perception and the ears of the theater audience; of his own interest in writing and reading murder mysteries which should be solved, by the alert in the first scene of the second act. 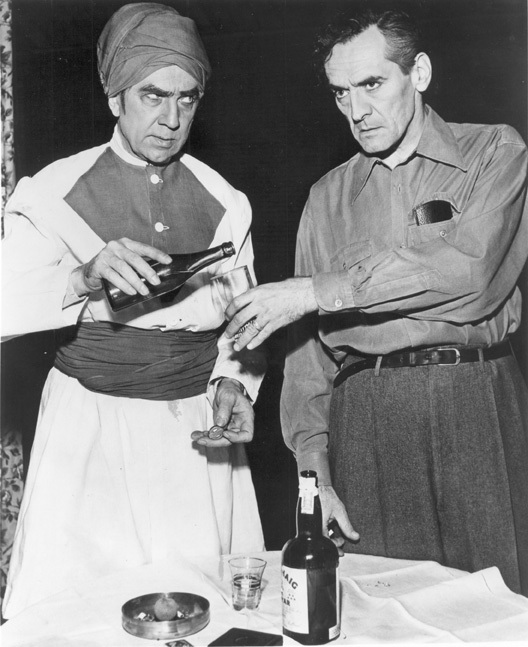 Lugosi then scrunched himself into a large tan overcoat and a small checkered cap, explaining all the while that he does not give a hoot for murder mysteries and that he spends his free time reading books on “social economy” and the like. The cap, he said, he wares only while traveling or when going to night clubs. “So I will not have to check a hat and pay a quarter,” he explained. Something he picked up in an economy book, no doubt. 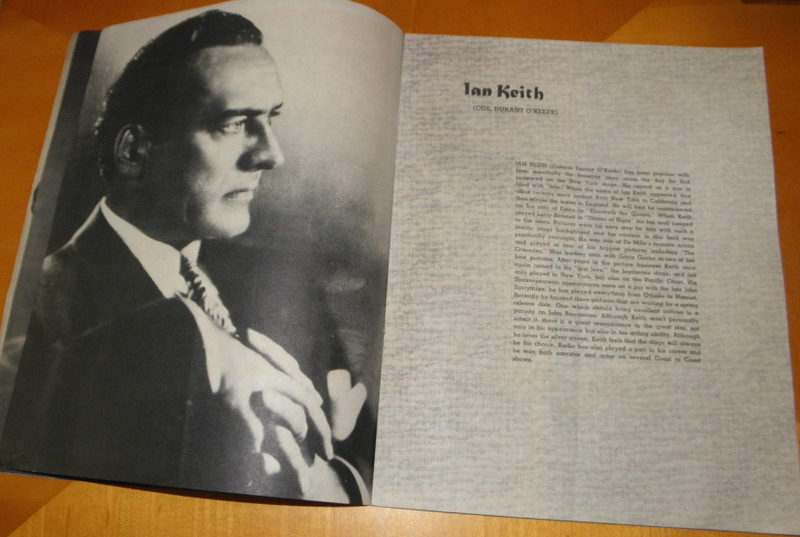 Ian Keith was tested by Director John Ford for the role of General MacArthur in the forthcoming film, “They Were Expendable.” He was okayed at $1,000 a week with a 15 week guarantee. But the actor nixed the bid. 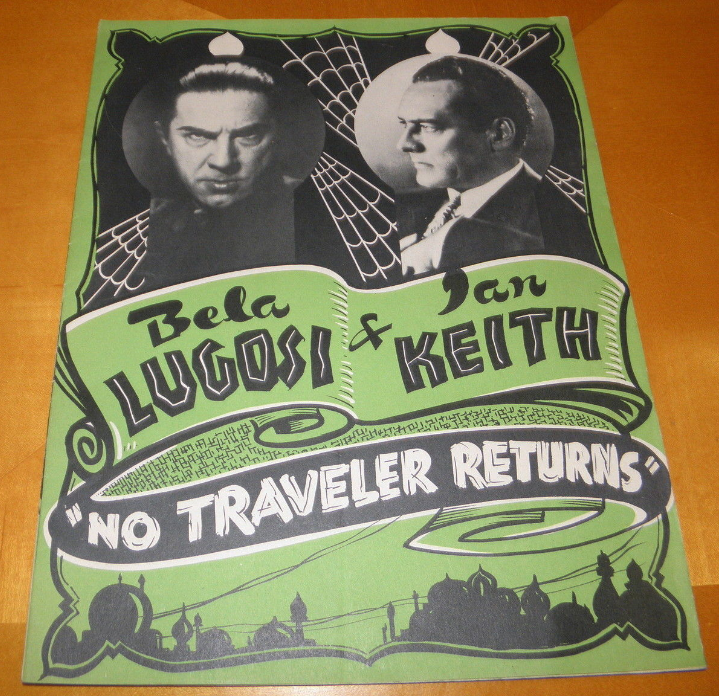 Keith decided to do a play with Bela Lugosi, for 10 per cent of the gross. The legit was out two weeks and folded in Seattle!